A team of Your Move staff are heading out on Friday 12 May on a 100 mile cycle ride with the aim to raise money for charity as well as visit colleagues located in 15 high street offices in Bedfordshire, Hertfordshire, West London and Sutton. Richard Waind, who heads the team, is the Regional Managing Director for Your Move in London and has devised the challenge to raise funds as part of the Lady Garden Campaign for the Gynaecological Cancer Fund. The Campaign – which has strong celebrity endorsement – has a mission to change the future of female cancers and to empower women to talk more openly about gynaecological concerns. The Fund has committed to raise £750,000 over 3 years for research - led by Dr Susana Banerjee at The Royal Marsden Hospital - into targeted treatment for women with gynaecological cancers. During the charity cycle – which will also see Richards’ colleagues Michelle Allford (Egham branch), Alex Morris (Wallington Branch Manager), Lee Archer (Lettings Director) and Jon Stubbs (St Albans Branch Manager) take part, it is hoped that the team will be able to raise awareness of the charity and, by visiting Your Move branches along the way, increase the amount of money they raise for the Fund. “I wanted to do something for this very worthy cause as I know how important it is to raise awareness of female cancers as this can directly impact treatment and survival rates. 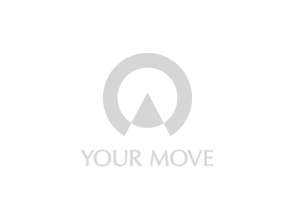 At first the idea was to simply raise money with any colleagues who felt they could join me but now, having spoken with the Your Move branch teams (and some customers); I’m aware that this is something that clearly others want to support. Richard and the team will set off from Your Move Bedford at 7a.m. on 12 May and then take a route via Your Move branches including Hitchin, St Albans, Watford, Twickenham, Kingston and finishing at Sutton.